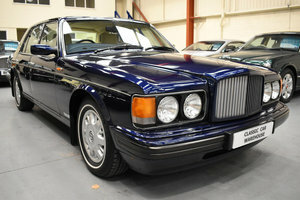 Beautiful Bentley Brooklands. 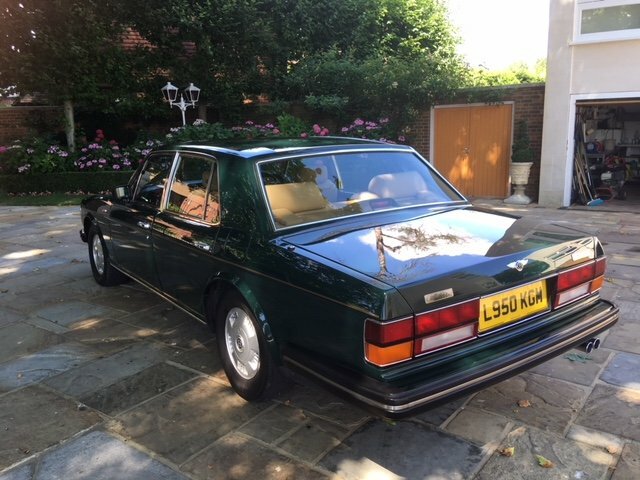 It is with a heavy heart that I am selling this wonderful car but needs must. 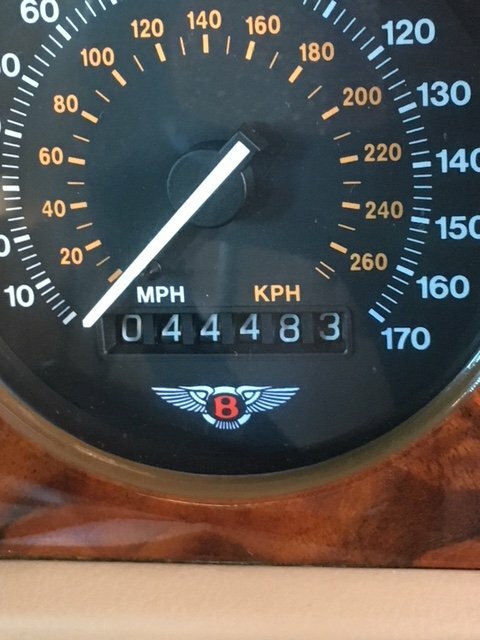 Its a SWB 94 non turbo car (less to go wrong and less to maintain) with only 44700 recorded miles on the clock from birth. 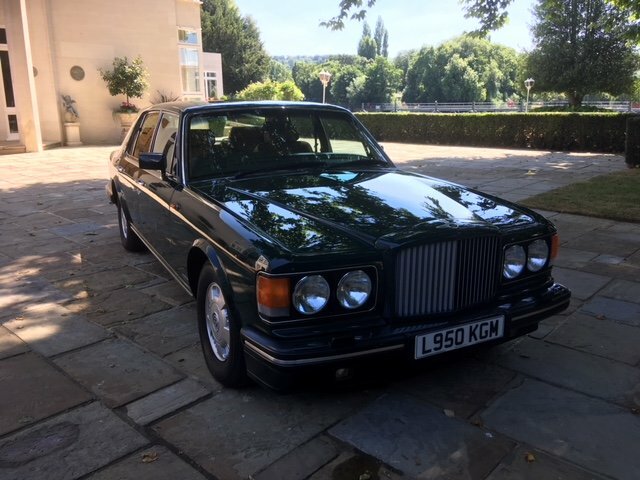 I originally brought the car to use on high days and holidays as I love old classics and had always wanted to own one of these lovely cars and lovely this is!!. It has been garaged all its life up until now as I have recently moved and no longer have room for it, its a big car. 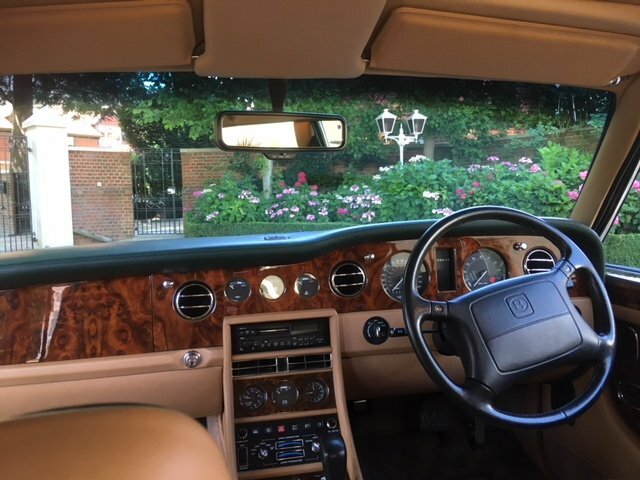 The coachwork is in very good condition it has a deep patina there are one or two blemishes around the car but it does not distract from the overall appearance of the car its not concours but it would not take much to make it. All of the brightwork and stainless is faultless no pitting. 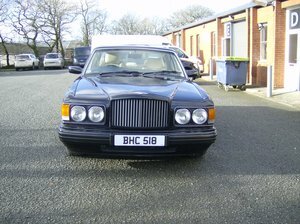 The alloy wheels are in great shape shod with the correct Avon Turbospeed tyres. All have good tread. 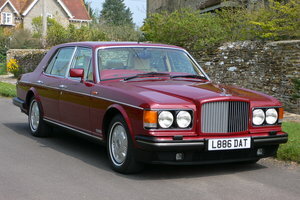 Get inside this car and you get what you expect from a car of this quality. 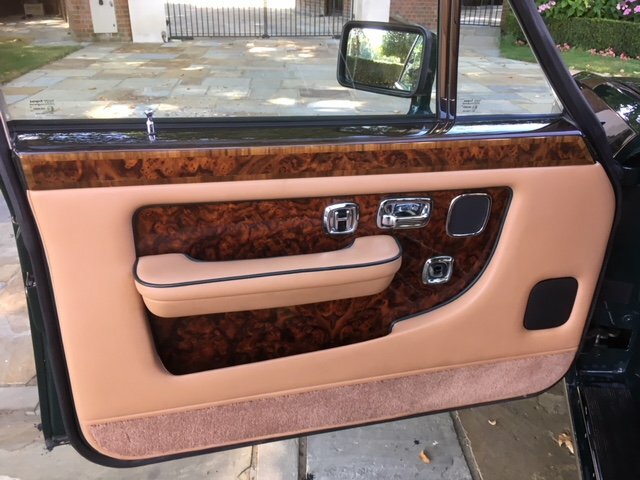 Truly outstanding luxury, the hide show no signs of ware other than a minute amount on the drivers seat piping you can hardly see it. There are no scratches to be seen. The burr walnut is beautiful on the dash and the door cappings. This car also benefits from optional veneer inserts in the doors very rare!!. 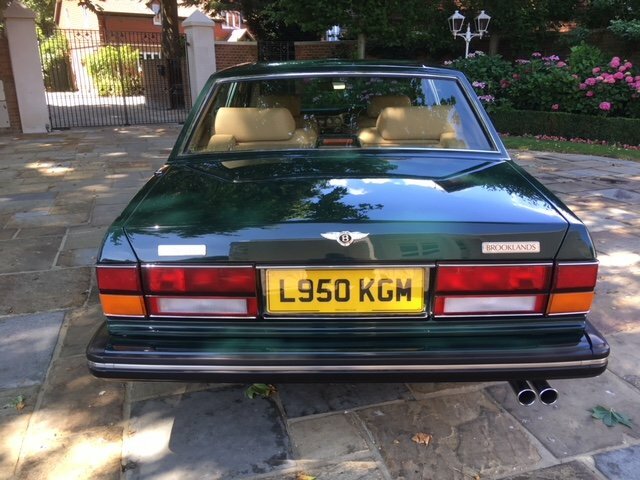 Mechanically the car is very good and benefits from a good history of which most of is main agent MEADS and the other with independent Bentley/Rolls Royce specialists. 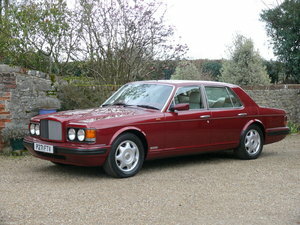 As a result of this the car drives like it did when it came out of the factory nice and tight and library quiet!!. Make no mistake don't be put off by the non-turbo aspect of this model when you plant your foot it has plenty of get up and go.I recently had the mot put on the car and it flew through with no advisories Michael Hibberd Motor Engineers (Bentley Rolls Royce specialist) said it was one of the good ones. Which I was pleased with. It also has all the relevant books and owners manuals with 2 sets of keys and tool kit. So I think I have given you a good idea of the character and condition of the car the rest is up to you. I do have a genuine reason for sale and had my circumstances be different I would love to keep it as they have turned the corner and are now steadily going up in value especially in this condition. If you have any questions my numbers is 07496375789. I have also just purchased a cover for it as well.